This is a test of Windows live write and flickr plugin. 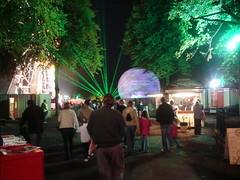 So I thought I would put a picture of Walsall Illuminations from last friday. Considering the amount of people it was hard not to have a man with something coming out of his head, in this case lasers.